Hey guys? Is anyone going to any Christmas parties this season? This week at my internship we are having a Christmas party/potluck in the middle of the day, which I am excited for! It's better than working, right? Everyone signed up for something to bring, and I have the PERFECT thing! 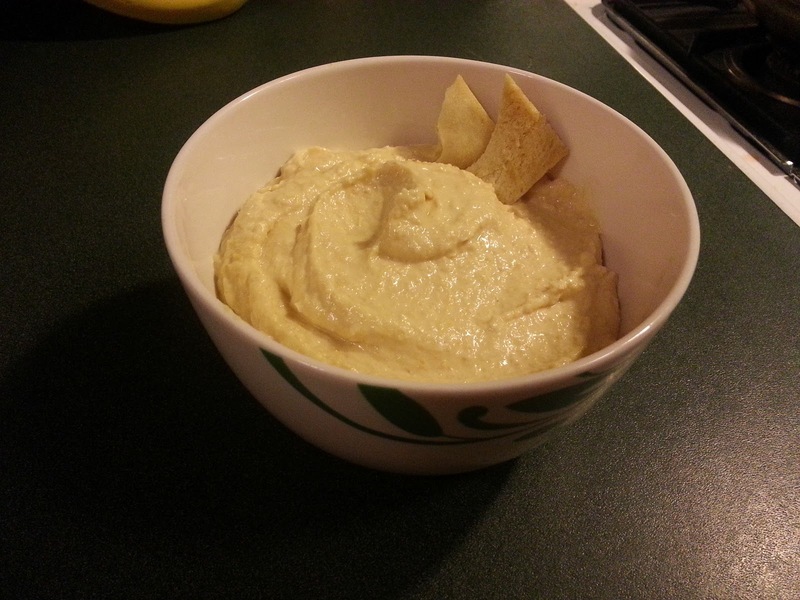 Homemade hummus! 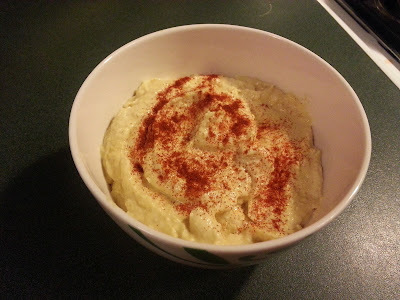 Everyone likes hummus, it's so easy to make yourself, and it's REALLY delicious when you make it yourself. In addition, you can make it any flavor you want depending on what you add to it. 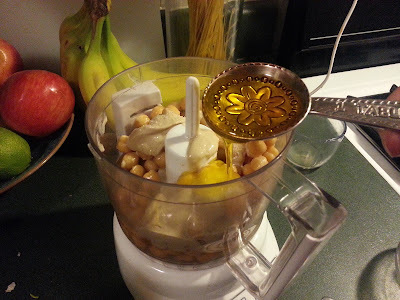 Really, the only investment you'll have to make is a jar of Tahini which might go for something like $6-$8, but it will last you a long time and many, many batches of hummus! Tahini, if you don't know, is simply ground up sesame seeds, and is integral to the flavor of the hummus. 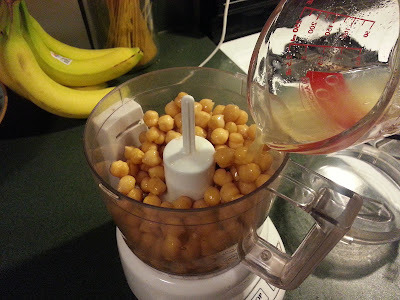 Begin by separating the chickpeas from the canned liquid, but make sure you save the liquid! 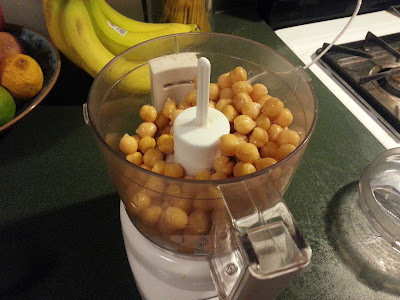 Put the chickpeas in a food processor. 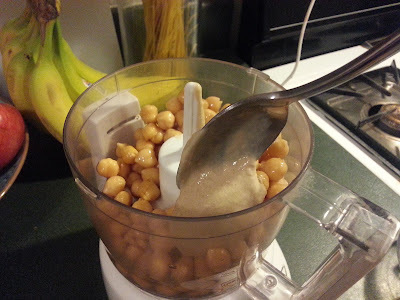 The recipe calls for 1 1/2 tablespoons of tahini, but I just eyeball it by taking a couple heaping spoonfuls of the stuff. 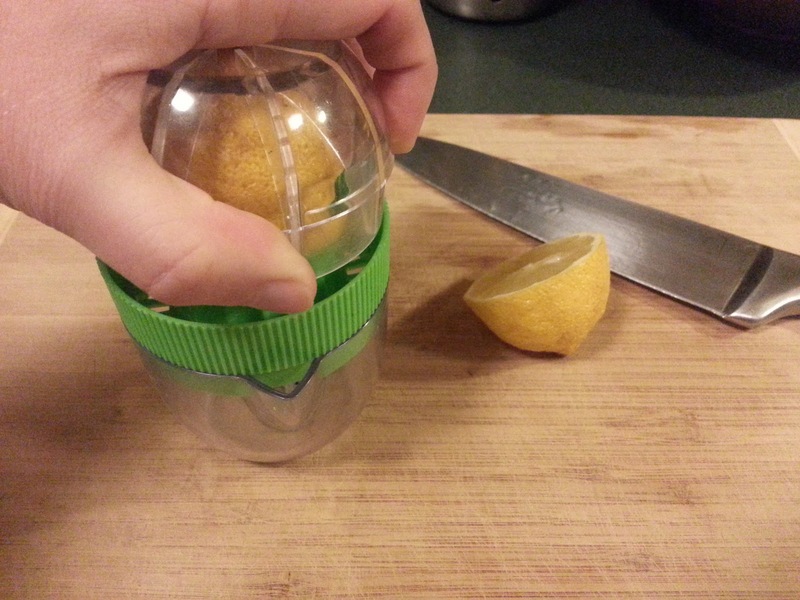 I like to use fresh lemon juice for my hummus. Add as much as you want to taste, something like 3-5 tablespoons. 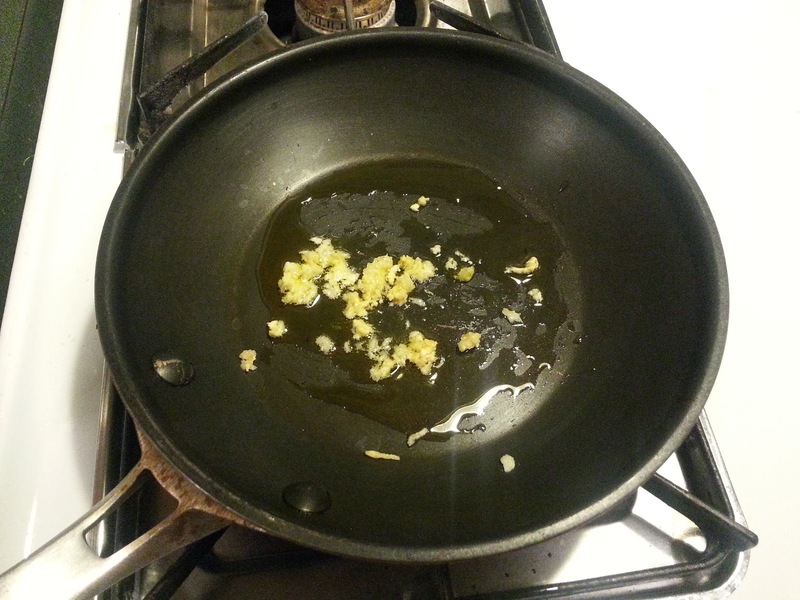 To avoid a raw garlic "burn" or "this hummus is way too garlicky" response from your taste buds, you can saute your garlic in a little olive oil for about 1 minute, being careful to not let it burn. 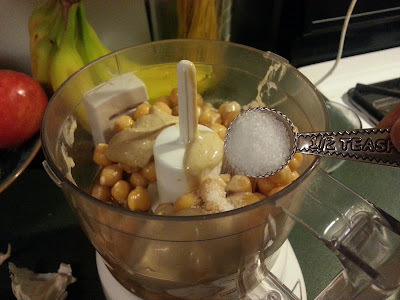 And now mix until smooth and creamy! Make sure you taste it in case you want to add more lemon juice, or salt for taste or olive oil for texture. Here's the finished product! I like to eat my hummus with chopped veggies or Stacy's Pita Chips. Oh dang! Things are getting crazy now, I just added paprika! Yum. Add a handful of spinach for extra vitamins and flavor! You can pretty much add anything you can think of! Maybe I'll try it out and post it on here. 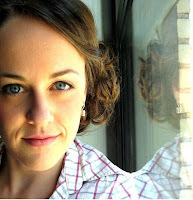 Tell me what you think about this, and don't forget to follow me on Facebook and Twitter! Ok, really weird. I kid you not, all of what I'm about to say is true. Jeff's work is having a Christmas potluck. 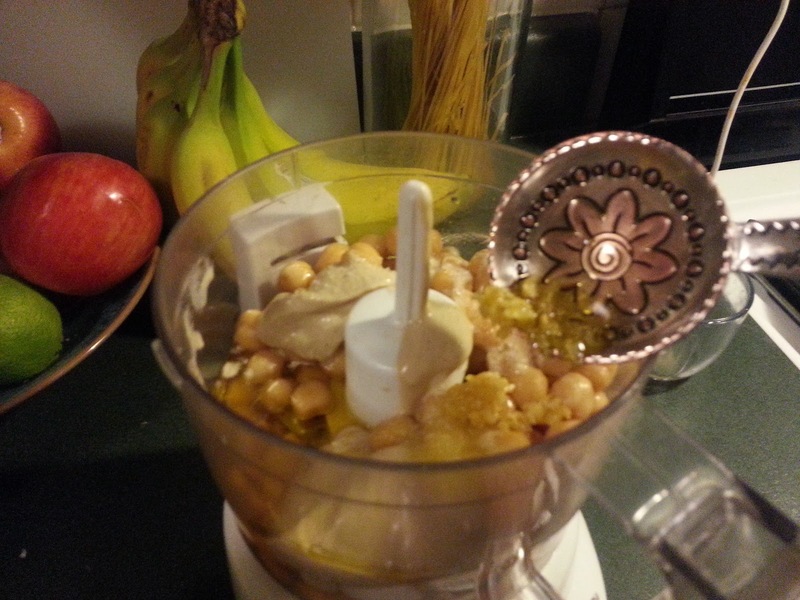 I thought to myself "oh, maybe I could make some homemade hummus for it!" Now, I have no idea why I thought it, because I have NEVER made hummus. Not in culinary school, not at home. And here's Quinnstitch, to the rescue! Perfect timing. Does the tahini really last forever in the fridge? 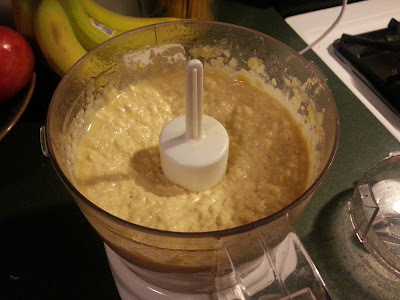 I think the reason I've been hesitant to make hummus before is that I didn't want to spend the money on tahini and have it go bad before I was able to use it all. 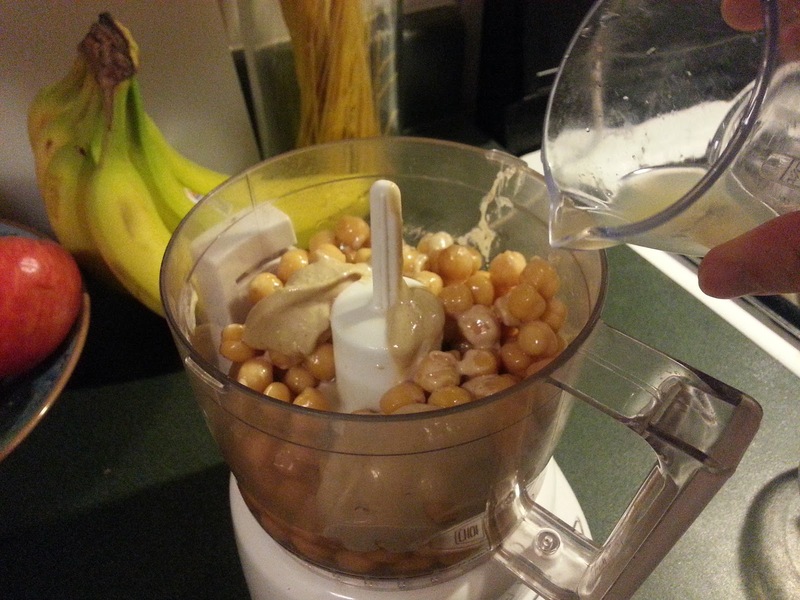 I've had my tahini for awhile now, and it hasn't gone bad. I'm pretty sure it lasts awhile. As long as you keep it in the refrigerator. If you think about it, it's just a processed nut, like peanut butter, and that lasts a really long time! Looks SO delicious! Ive literally had a recipe for hummus open on my laptop for like 3 months, never got around to making it. This looks easy enough! And your measuring spoons are so cute!